Elton J. Holden, 77, a longtime resident of Longmeadow, died early Wednesday morning, April 30, 2014 at Baystate Medical Center. He was born in Bridgeport, CT, a son of the late Jackson R. and Virginia (Hanlon) Holden. 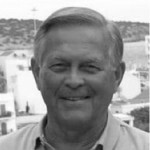 Elton graduated from Springfield Technical High School in 1954, and from Penn State University in 1958 and 1971. He was a member of the Chi Phi Fraternity. I am still living in Wayne, PA with wife, Karen (KAP '86), and three kids: Harrison (16), Alex (14) and Tara (11). There's never a dull moment with teenagers and a new driver in the house. Like many of you, the Jerry Sandusky events make me want to support Penn State even more than ever. I value my experiences more today than ever before. Right now I am in Costa Rica on an all-inclusive trip with Caravan. It is ten days and includes hotel, BLD and all tours and tips and transfers for $1100. An incredible deal since this is the high season here. In other news, on January 27th I held a Ballroom Dancing Fund Raiser for the Red Cross at the local VFW Hall and gave the Red Cross $650. Not a lot of money but I plan to do more of them and maybe do it monthly, at least in the winter. I have two passions, the Red Cross and Ballroom Dancing so I killed two birds with one stone. Ballroom Dancing is so much fun and such great exercise I want to get more people to try it. In the winter I go 3-5 times a week. Usually, it costs $15 and you get a one-hour lesson, free food and three hours of dancing. You can bring your own drink if you like but hardly anyone does. It would almost be like taking a bottle to the gym. 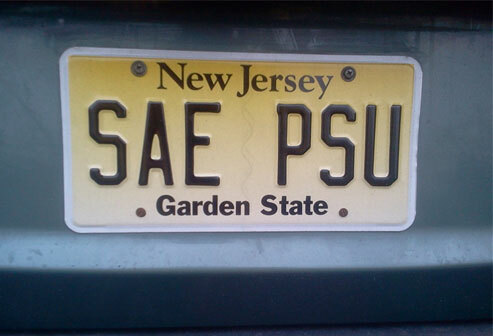 Other news, I just got an SAE-PSU NJ license plate. Hoping to go to the Founders Day Dinner and maybe the Golf Outing.